On the 5th September I managed to find my way to York University (not such a big adventure as I know York pretty well) and began a weekend that was as fun, but also as professional, as I had hoped it would be. For the first time in years and years I was attending a conference. Now in the past, my experience of conferences has been rather dry to say the least; all very professional, but lacking in camaraderie and all very matter of fact. Let me just say that the Society for Editors and Proofreaders, and the Society of Indexers, put on a brilliant weekend and it’s one that will stay with me for a very long time. Don’t think that it was all party and no content though, far from it – the weekend was informative, friendly, professional and networking at its best. I started my weekend at a pre-conference day course on fiction editing. It was a lovely, relaxed start to the conference, allowing me to meet colleagues face-to-face that I had only previously known through the SfEP forums. What was great was that I learnt new things in a friendly, relaxed atmosphere, but I also gained confirmation that I am already doing things right. Now, if you are a freelance yourself you’ll know the immense value of this kind of validation – being isolated can often result in wondering if you are actually as competent as you are told you are! After a fabulous day we managed to find our way to the auditorium for the official start of the conference and the SfEP AGM, then nipped out afterwards to find our accommodation before heading off for newbie welcome drinks followed by dinner. One thing that must be noted in this little write-up of the conference is the high standard of the food (and the wine!) over the weekend. I’d gladly go back to York just for the catering. Sunday was the real start to the conference with an introductory lecture that was actually very enjoyable (whenever I hear the word lecture I tend to think zzzzzzzzzz), then we headed out to our first sessions. I decided to attend the ‘Building your Client Base’ session as it’s something that is important for all freelancers. While it wasn’t quite what I expected, we spent an interesting couple of hours talking with other freelancers and learning how we all approach the subject. My next session was very interesting indeed. A small group of us chatted with a self-published author and a publisher. Both gave insight into how it’s important for the author to find the right fit when aiming to get their book out to a readership. What came out of the talk was that authors should feel supported by their professionals, but that professionals should also manage the expectations of their clients, guiding them through the right path for their needs. After coffee (did I mention there was lots and lots of coffee? ), there were some smaller sessions allowing delegates to mix and match. I attended a brilliant quick run through of digital tools for freelancers, but if I’m honest my mind wasn’t really on it. Remember one of my last blogs where I told you to step out of your comfort zone? Well, I was about to do just that. The second round of sessions had me attending some lightning talks… and giving one myself. Now, it was only a five-minute talk, but boy, did it make me nervous! Along with one of my colleagues I sat in the room and tried to pretend it wasn’t really happening, but I think we managed to support each other sufficiently to get through it. As a newbie at a conference I think it’s one of the most frightening things you can do – stand up in front of your peers and talk. But we did it, and it even seemed to go ok. Thank goodness! 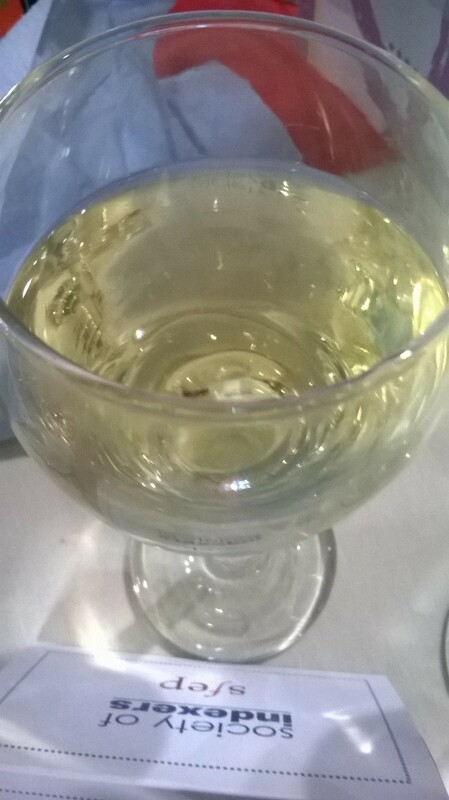 We then scuttled off to a Tweet-up where there was wine to calm our nerves before the Gala dinner. The Gala dinner was friendly, relaxed and not as terribly formal as I’d thought – just as well as I don’t tend to dress up well, and after seeing how far away from the accommodation the dining hall was I decided to wear my tie-die purple Converse under my black chiffon wide-legged quite-posh-for-me trousers. No-one cared. The food was good, David Crystal was a brilliant after-dinner speaker and there was more wine. We drifted off towards the accommodation block around 12.30 and I was asleep by 1.30… ready for an alarm wake-up of 7am the next morning. I really am getting too old for this! But after a cooked breakfast, and lots of coffee, I walked into one of the sessions I was really looking forward to – structural fiction editing. This session really did deliver, and I came to realise that despite shying away from structural editing it’s something that I have already done with non-fiction and the leap to fiction is something that will be really interesting. Non-fiction can be fabulous, but fiction should definitely not be overlooked. The final session before lunch concentrated on the move from traditional publishing to electronic publishing, and gave us all something to think about, especially our workflows and how to accommodate the move to digital. To close the conference we had a ‘Crystal Ball’ session followed by the closing lecture on the future of reading (again definitely not a zzzzzzz type of lecture). By now I was really flagging though, lack of sleep was finally catching up with me. As we said our goodbyes I made a mental note of how to get through next year’s conference. Wear trainers. Thankfully this is my normal mode of footwear. Take lots of notes. I’m sure I should have taken more. Look at the maps before you arrive. York is a very spread out campus and it was difficult to navigate at times. Bring along chocolate covered coffee beans as a pick me up. Lots and lots of them. I thoroughly enjoyed my first SfEP conference. I’m grateful to everyone for making me feel so welcome (it can be scary at first), and I’m looking forward to meeting everyone again. I’ve already put next year’s conference dates in my diary!